It’s been one of the best-reviewed games of the year so far, and apparently Far Cry 5 has also been selling like hot cakes this year. So says market research firm NPD Group, which recently released a report revealing the best-selling software and gaming hardware of the year, as was recently reported on Forbes. And it turns out the top-selling video game this March was Far Cry 5, while Ubisoft’s game also tops the best-selling video game list for 2018 so far, jumping ahead of Sega’s highly-acclaimed Monster Hunter World game. But what could be the reason behind Far Cry 5’s success this year? Perhaps this could be due to the game’s US setting, as this is the first Far Cry game to be set in the West, likely making it more appealing to western audiences than the exotic (but still great) settings of earlier Far Cry games. 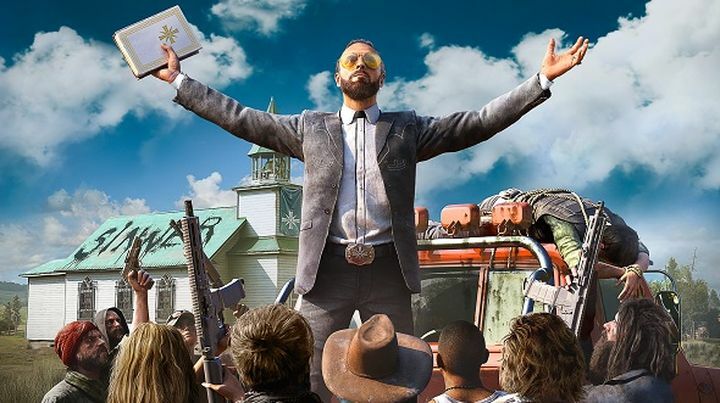 Also, the fact you’re going up against a far-right religious cult in an isolated American county in this latest instalment of Ubisoft’s series is a theme that likely resonates with many people, especially in the US. Either way, Far Cry 5’s success and it being the top-selling game of the year so far is also an indicator that Ubisoft (the game’s publisher) is on a roll right now. Actually, the French video game company leads the pack when it comes to sales this year, thanks not only to the success of their first-person shooter Far Cry 5, which also sold twice as many copies as its predecessor during its launch week, but also of other games like Mario + Rabbids Kingdom Battle, which is the top-selling game on the Nintendo Switch so far. But while Ubisoft may have won the hearts and minds of gamers this year, other game publishers and developers are also doing pretty well. Such is the case of Rare, the team behind Sea of Thieves, which was the second best-selling game of March and eighth of the year to date. Also, Nintendo came in at fourth for March 2018 with Kirby Star Allies, an impressive feat taking into account NPD Group is not tracking digital sales for Nintendo games yet. And of course, Call of Duty: WWII also made the year’s top-seller list and currently sits at number four. It is also pretty stunning that GTA V came in at number 5 in the March top-seller list (and in the same position for the year to date), proving Rockstar’s game, which recently surpassed the 90 million copies sold mark, has tremendous staying power. Of course, this list could be dramatically different by year’s end given that heavyweights like Red Dead Redemption 2 and Call of Duty: Black Ops 4 will be coming out later in 2018, but it’s great to see a fine game like Far Cry 5 lead the pack when it comes to sales this year, so congrats to Ubisoft and other games publishers which made the list, and here’s hoping that there are plenty more great games coming out in what remains of 2018 too.